To protect human life and property by enforcing state laws, deterring criminal activity and providing vital support to the state of Arizona and its citizens. 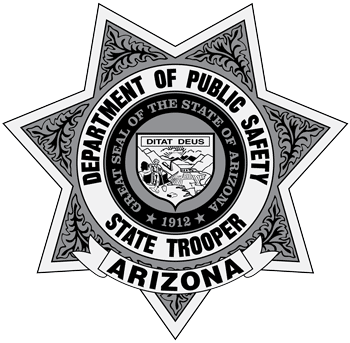 In 1968, the Arizona Legislature passed a law to create the Arizona Department of Public Safety (AZDPS). The agency became operational by the executive order of Gov. Jack Williams on July 1, 1969. Governor Williams’ mandate consolidated the functions and responsibilities of the Arizona Highway Patrol, the Enforcement Division of the State Department of Liquor Licenses and Control and the Narcotics Division of the State Department of Law into one agency. Since its inception, the department has added many additional responsibilities and has evolved into a renowned, multi-faceted organization dedicated to providing law enforcement services to the public while developing and maintaining close partnerships with other local, county, state, federal and tribal agencies. For much of its history, the sworn members of the department were known as officers or patrolmen. In early 2015, a change in title was initiated at the agency that resulted in its sworn personnel becoming known as State Troopers. The change in title served to better align the department with other highway patrol agencies across the country. The department is headquartered in Phoenix, but also operates out of local offices spread throughout the state’s 15 counties. With nearly 2,071 full-time employees, the agency strives tirelessly to fulfill its support and operational objectives including traffic safety and criminal investigation. As of 2018, there were 1,171 sworn employees and 900 professional staff. These numbers are as of 07/2018. Numbers are rounded to the nearest whole number to avoid decimals. The Department issued handgun is a Glock 17 Gen5, chambered in 9mm. The Patrol rifle is a Colt AR15 model 6920AZ issued with three, 30 round magazines. The 12 gauge Remington 870 shotguns are only authorized for carry when modified to their less lethal munitions configuration. Justice: We embrace the qualities of fairness, equality, and quickness in protecting the rights of the people we serve. Undaunted Commitment: We demonstrate moral and physical courage, vigilance and diligence in duty performance. Service: We deliver exceptional service assistance through teamwork and cooperation. Trust: We strive to earn and keep the confidence of the people we serve through truthfulness, communication and reliability. Integrity: We are honest, factual and accountable while being an example of excellence on and off duty. Courtesy: We are respectful and polite to everyone. Empathy: We are compassionate and respectful in all that we do.